Today we’re going to have a look at two extensions for a retro programming language that was mostly used for creating games. 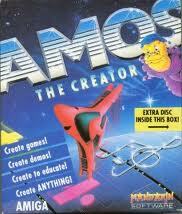 AMOS is a programming language that was developed for the Amiga. The language originated on the Atari ST and was called STOS. Both versions gained popularity amongst all kinds of users. Based on the high-level language known as Basic, AMOS and STOS was easier to approach for general users than Assembler. This, combined with the wide variety of game development functions, made AMOS a winner in its field. As for the Demo Scene, AMOS isn’t the language of choice among coders. To get those 3D engines working smoothly, AMOS simply don’t cope. Although, for simple intros and demos, with some old-fashioned effects, AMOS can certainly be of use. The same goes for those coders who likes to test their routines and ideas before going at it in Assembler. You can write the code in AMOS, test it out, and then port it to Assembler. So AMOS can be a handy tool for demo fanatics as well. In this article we’ll be having a quick glance at two of the different extensions that are available for AMOS. For those who aren’t exactly sure about what an extension is, it is more or less a bundle of commands and functions you can include in AMOS. These commands and functions will then work just as the original ones. The first thing that is interesting to know about AMCAF is that it is free to use. The development has ceased, so the author decided to make it freeware instead of shareware. That is good news for all AMOS programmers, as you can download it straight from Aminet and get started with your coding. You can download AMCAF by clicking here. AMCAF was developed by Chris Hodges. He was a well-known AMOS coder, but did also do a lot of work in Assembler. Some people might remember the intro called Qapmoc that was released at the Mekka Symposium party in 1999. It ranked as number three and was well received among Sceners. Chris Hodges nickname on the Scene is Platon42. Now, what does AMCAF have to offer for potential users? Let’s have a peek. First of all, AMCAF improves the graphical capabilities of AMOS. It has turbo functions for plotting pixels, drawing and so on. If you make two plot routines, one with the old commands and one with the new turbo commands, you can surely see a difference. AMCAF also includes commands for generating star fields, shade bobs, splinters and vectors. This is great for people who wants to have some special effects in their games. If you compare the old AMOS functions and commands with the one AMFAC provides, it is quite clear that AMCAF is a big step forward for the user. This extension does also improve the way one handles fonts in AMOS. Included are a whole range of new font related commands. You can now easily create own font banks and switch between them with ease. Obtaining nice looking fonts can be done easily from Aminet. Some AMOS users will remember the mess that could happen when you tried playing modules made in Protracker. AMOS would occasionally play the tunes wrong, but AMCAF solves that problem. Beside the fix of the Protracker routine, several new commands for handling modules are included. VU meters anyone? There’s a lot more that could be written about AMCAF, as it enhances every level of AMOS. Whether you need faster mathematical functions, support for graphical effects, AMCAF should take your experience of AMOS to a new level. If you are interested in trying it out, please have a look at Aminet or click the link above. From Paul Hickman comes the Easylife extension for AMOS users. The aim of this extension is (as the name suggests) to make life easier for programmers. So, how does Easylife make it easier? First of all, Easylife gives you XPK support, a variable checker, and a zone editor. The variable checker tracks down bugs in your program that the original AMOS can’t find. As for the zone editor, it allows you to actually draw your screen zones. This should be a relief for many, as it can be a bit confusing creating and handling zones using the old commands. The new function sure makes life easier. Also worth mentioning is the new editor enhancer. According to the author, you can now search code, strings and comments. Also, four new extra features has been added, which includes “Enter ASCII”, “Enter Scan Code”, “Enter Filename” and “Unflip Bobs”. A part from what’s mentioned above, Easylife gives you some new AMOS procedures, tutorials on structured variables and new MagicWB style icons for AMOS. I personally love MagicWB, so that is a plus for me. Easylife can be found on Aminet. In this article we’ve had a look at two extensions made for AMOS. The first one was AMCAF and the second Easylife. Both extensions are very handy for all users of AMOS. They bring you a wide range of new commands and functions and can seriously enhance your experience of AMOS. Whether you like to program games, applications or demos, these extensions will prove helpful. There was this French demo group that did some nice looking demos in Amos. I just can’t remember their name. Are you thinking of Syntex? I found a page on their website featuring all their demos. 🙂 The page is in French, but should be understandable. AMOS is mentioned. I’ll have a look at these. Exciting stuff! Have you made any demo stuff in AMOS? Yes! Syntex was the name. I saw some of their stuff and it was amazing. I never made any demo stuff in Amos. It might actually get a second life on the Natami. Hmmm tempting to get the Natami board. If I have some hardware funds again in the future I think I will pick the Natami first. Hello, I ran into your webpage from mixx. This isn’t not blog post I would normally read, but I liked your spin on it. Thanx for creating a piece worth reading!